Go straight to the best roach killers and skip the rest. 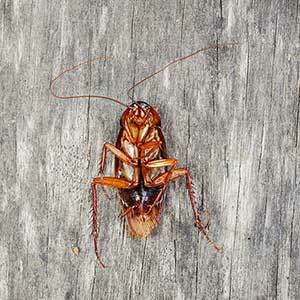 Roaches are terrible, and they are very hard to get rid of once you let them settle into your home. How tough can they be? I once found a cockroach in my microwave. I set it on high for 3 minutes–confident it would be fried by the time the timer went off. What did I find when it beeped and I opened that door? The pesky little critter was still alive. What can kill an army of them if 3 minutes on high in the microwave can’t? The answer isn’t potentially toxic chemicals, but something much less harmful instead. There are a ton of pesticides for killing roaches on the market. You’d go broke trying them all to find what works the best. I already had to deal with that problem, so you don’t have to. Hands down, the best roach killer on the market is Advion’s Roach Bait Gel. What makes it so great that I’d crown it the best? I’ll admit that I eventually gave this product a try because it had so many good reviews—and I was running out of options. Boy, am I glad I have it a try, and I sure do regret I didn’t try it sooner. But what makes it so great is because it works so well at what I call chain killing. I apply the gel bait. A bunch of roaches came by the bait at night. Some of them ate the bait. A few of them also took bits and pieces back to the nest. Over the span of a few days, those that ate the bait dies. The ones back at the nest that shared the bait dies as well. All the cockroaches do not die in a single location. They perish all over the house, and some of them die right in the nest. Other roaches come by carcasses and feed on them. The ones that died in the nest, well, it’s a feast for the remaining. Those cannibals, they all get killed because the poison still lingered in the carcasses. Wow, that sounds amazing when you have a massive army of roaches trying to conquer your home, doesn’t it? It sure does, and that’s why it’s the best roach killer on the market (well, at least in my opinion, it is anyway). Still hungry for more information about this fantastic cockroach killer? Read this page for a ton of info. Alright, so you’re sold on Advion. It sounds like the solution you need. Where can you buy it? It used to be hard to get your hands on because it was used mostly by the pros, but that’s changed. You can find them at very affordable prices on Amazon. Locally, they can still be difficult to find. We can’t have a list of the best roach killers, and not include the best roach spray. Sprays are a popular option with professionals as well as the home user. However, there is a world of difference between what the pros use and what the home user often uses. Is it the brand, or is it something else? Professional exterminators do use a different brand, but it’s also more than that. The main difference is the concentration of the pesticide spray. The best spray for killing cockroaches goes by the name of DemonWP. When it comes to killing roaches, it is named appropriately. Upon contact with the sprayed on pesticide, a cockroach can die in seconds. It quickly attacks their nervous system and kills them. Once sprayed, it can stay effective for up ton one month. A small packet does cost a little bit more than the typical stuff you’ll find at your local store, but it works way better. Pair it with a good sprayer and one packet can treat a much larger area than the other stuff you can find. The only problem with DemonWP is it can be hard to find locally. You can easily find it online though. For more info about using DemonWP, take a look at this page. I’ve tried lots of things to kill roaches, but few seem to be as effective as powdered boric acid. The boric acid powder is as close as you can get to a natural cockroach killer that will work to this extent. When a roach walks over the fine dust, it cuts their protective exoskeleton, attaches to their body, and eventually poisons them to death. Any generic boric acid will work just as well as those explicitly labeled to kill roaches. The only difference is the bottles marked for cockroaches have a convenient application bottle and nozzle. The generic boric acid will require a duster applicator. To get the best results, I recommend using the duster regardless of whether you’re using generic boric acid or not. When used correctly, the bulb duster is the only thing that can apply a perfect, thin layer of powder. Applying the right amount of powder is the secret to getting results with this stuff. While it’s a relatively simple pesticide to use, there are a few mistakes that should be avoided. Check out my other article about boric acid roaches powder to discover the biggest mistakes to avoid. You can buy boric acid for just a few dollars from online retailers. You can also check your local home improvement store. Look in the pest control section and keep an eye out for the boric acid bottles packaged for roaches and other crawling pests. Boric acid is easy to find locally, but the bulb duster is hard to find. I haven’t seen the duster for sale at any of my local retailers. The best place I have found for buying the bulb dusters at an affordable price is Amazon. Boric acid works great. However, there are things you can do to get even better results. Instead of relying on the chance they’ll walk on the powder, you can make it guaranteed. How do you ensure roaches will walk right into the boric acid powder? You bait them with some irresistible treats. Roaches can’t resist sweets and fats, so just surround a little food with a fine layer of the powder. That will be more than enough to convince them to walk into their deaths. Be careful not to apply too much powder though, or they’ll avoid it entirely. Like I’ve been saying, a very thin layer is ideal, and the best way to get that is with a bulb duster. I find the disposable plates (plastic, paper, styrofoam, etc.) work great for baiting roaches with this method. Just place the bait in the center and then apply a thin layer of boric acid around it. The only way to get to the food is to walk through the field of poison. Thanks to it being odorless, the pests won’t even know that this meal will be their last. This works even better when they drag some food back to their nests and feed their young with it. I’m sure you know what happens when they decide to share this time. For those of you who don’t like the idea of dusting powder everywhere, you can mix boric acid with a few simple ingredients and make a homemade roach tablet. For home remedies, this homemade roach killer has shown me the best results. It doesn’t work as well as dusting the powder and using bait, but it still kills them quite efficiently. This solution is also easy to use. You just place the mixture in the appropriate locations and let the pests feast on it. Let them bring some back to friends in hiding. They’ll all eat it and perish together. Here’s the simple do-it-yourself recipe for making your roach tablet. Mix 1-part sugar, 1-part boric acid, and 2-parts flour in a disposable container. Add a little bit of water at a time and mix until you have a dough. Form the doughs into tiny balls with your hands. Place the ball in between your two palms and flatten it into a disc/tablet. Tip: Try mixing in melted butter instead of water to get an irresistible mixture of both fat and sugar. Using butter instead of water will also allow the dough to stay soft longer. If you don’t’ feel like mixing things yourself, I’ve used the Roach Tablets made by Harris with positive results in the past. These tablets are already mixed with its secret bait to attract roaches. Now you know what some of the best options are for eliminating cockroaches. Don’t run off just yet. Glance through this list of some of the worst options you can choose if you’re the goal is the efficient total eradication of those pests. A mixture of soap and water in a spray bottle is a popular home remedy you’ll see mentioned quite often. I won’t say that it doesn’t kill roaches; because it does kill them. The problem is it’s not very efficient. Not only does it take quite a lot soapy water to kill a single cockroach, but it also doesn’t do anything about the hundreds and potentially thousands that are somewhere safe in the house. You can only spray those you see. Most of them won’t even stay around long enough for you to grab the bottle. Let’s not forget about the soapy, wet mess you have to clean up after you drown the critter in it. Bottom line, horrible choice. I get it; bleach has that reputation that it sanitizes everything. I guess when it comes to roaches, it should “sanitize” them too. Yeah, it’ll kill them, but it’s about as useful as soapy water; for all the same reasons and more. In other words, bleach isn’t very useful at removing roaches. Not working very well is the least of your worries. You’re going to ruin a lot of things like clothes, shoes, furniture, floors, and whatever you spray that bleach on them. Repellents include electronic ultra-sonic repellents, herbal repellents, and any other remedy to keep them away. If your goal is to kill them as fast and efficiently as possible, repellents won’t do anything. The problem itself lies in the word. Repellents only help keep roaches away. They do not kill the insects. If you want those critters gone permanently, then the only option is to kill them. All of those aerosol roach spray cans and bottles you see at the store are horrible choices. We’re looking for the best roach killers here, and these spray cans are nowhere near being the best choices. They will kill a cockroach if you drown them in it, but other than that they’re not very efficient. I rank them as low as soapy water and bleach. The problem, again, lies in their inability to target the roach population. It only works on what you can see and catch. What you see is nowhere close to the actual number of roaches you are dealing with. Not all sprays are bad though. In fact, DemonWP and some of the concentrated spray-on pesticides are great solutions. 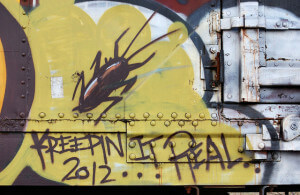 These weak spray cans we’re talking about here are just nowhere near DemonWp and the likes. Wait, so if some sprays are great solutions, why are they not listed here? Because they’re used differently, and they will ultimately counter and nullify the domino effects of Advion and boric acid; rending them ineffective. The roach foggers you can buy at the store are just as bad as the spray cans. They’re bad for all the same reason. Foggers also get on everything. It’s a big mess with little results in return. Some people are saying traps as good roach killers to use along with roach baits and boric acid; they are not. Traps significantly reduce the chain killing effect of roach baits like Advion, as well as boric acid. What happens when a cockroach gets stuck in a trap? It can’t get out. Most of the time, it stays stuck in the glue until it dies. When you’re trying to kill roaches with baits and boric acid, you want the pests to return to the nest and expose themselves to the others. That’s how you get them to kill each other. By preventing this, you mostly make your efforts useless. Aside from the horrible combination traps make for use with the best roach killers we have listed here, they don’t work very well by themselves either. The problem remains the same; traps cannot target the roach population as a whole. Traps will only “kill” the occasional cockroach that makes contact with the glue. It’s important to note that no matter how efficient any treatment is, you need to take preventative measures. Don’t attract any more of roaches if you’re still in the process of dealing with them. Keep the house clean and clutter free. Make food and water scarce. Keep food covered and adequately stored at all times. Fix any water leaks no matter how small. Check out the other ways to get rid of roaches. Which One of These is the Best Way to Kill Roaches? Of the three best methods to eliminate roaches here, which one do you choose? Which one is the best of the best? The answer is, all of them. These three made this list because they can all be used together; Advion roach bait, and boric acid combine to become one single solution, the best roach killer. When used together, they combine and amplify the chain killing effect. If you had to skip one, you could skip the roach tablets. If I only had to choose one item from the list, I’d go with the Advion Roach Bait Gel for the convenience and ease of use. Whichever method you decide to use, use it fast and keep at it until they have completely disappeared for at least a month. And remember, while these are the most efficient ways to get rid of roaches, they are not the fastest acting solutions (like DemonWP). Be patient and give them time to work.